I have a six-page spread in the February 2018 issue of Days Japan, a monthly publication of photojournalism features. 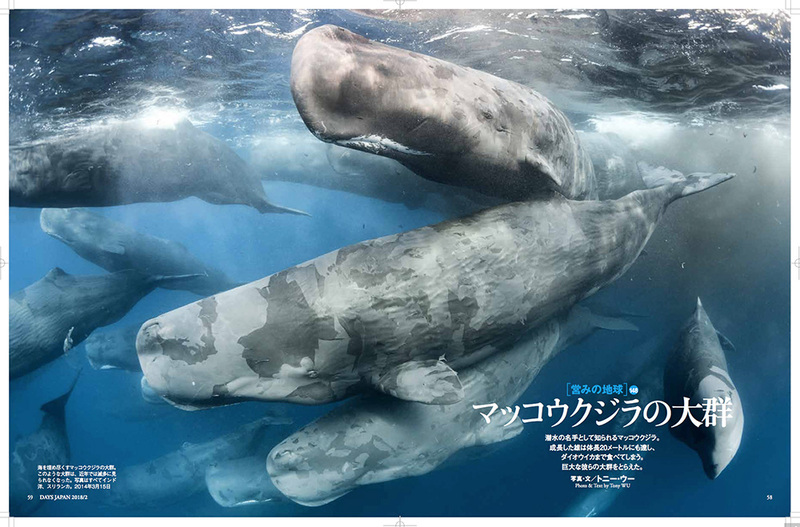 My article discusses sperm whales, and includes a total of four images, with two nicely printed double-page spreads. The text is all Japanese of course, but if you can read Japanese, please click to download a PDF version.